Preventative maintenance is better than trying to fix a problem after it has occurred. The benefits of massage can stimulate, increase, improve, develop, regenerate, and relax the organ systems of the body. This ﻿improves the overall function of the body. A person does not have to have an injury or have stress in their life in order to enjoy the benefits of Massage Therapy. Many people use massage as﻿ part of their “maintenance routine”. 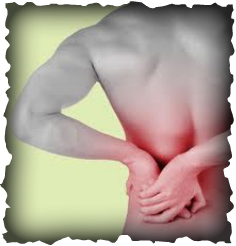 Regular weekly, fortnightly or monthly massage can help prevent injury and generally increase your well-being. Increases flexibility and range of motion of joints. Improves the flow of nutrients to muscles and joints, accelerating recovery from fatigue and injury. Breaks down or prevents adhesions (knots). Prevents or delays muscular atrophy, resulting from inactivity caused by injury, age, surgery, or illness. Relieves cramps and muscle spasms. Treatments are booked by time. During your treatment, your therapist will evaluate your specific needs according to your preferences and the information you provide them. If you have a specific problem that requires attention the therapist will tailor the treatment to your needs. Relaxation Massage, Remedial Massage, Sports Massage, Deep Tissue, Pregnancy Massage, Trigger Point Therapy. * Ridge Clinic work closely with other health professionals such as Chiropractors, Naturopaths, Physiotherapist, Acupuncturists and Osteopaths. Together we can formulate a plan for your health and maximise your body's potential.